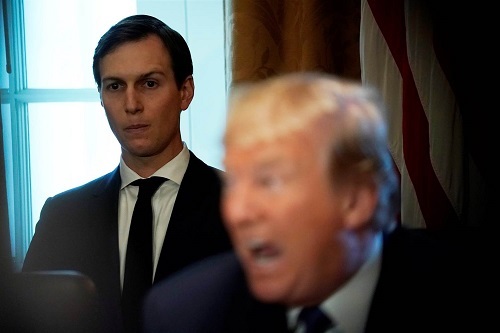 Jared Kushner, the son in law of President Donald Trump, is a graduate of Harvard Law School, a rich man who made his money in real estate and public housing and of course in marrying the favorite daughter of the president. All of this is fine but that does not qualify him to be the person responsible for the Middle East policy and its long term impact for many generations to come. We fully understand his qualifications as a businessman, but to qualify to shape the destiny of tens, if not hundreds, of millions of people is a crime that is unforgivable for the President or the US. Kushner’s only qualifications as the lead on the Middle East are; he is Jewish, he is an Orthodox Jew, he is a Zionist, he is a financial contributor to criminal trespassing colonialist settlers and thieves. Well, his qualifications fit well with the idea of Eretz Israel from the Nile to the Euphrates and fits well with the new Israeli nationality laws which formally establishes Israel as an Apartheid State with the rights of citizenship defined by religion, not that I buy the idea of the “Jewish Race”. The new Israeli nationality law is no different from Germany’s idea of a pure Arian race. With some minor exceptions, certain Arab-Muslim countries do not grant nationality to a person of “Christian faith” – I am not aware of any country in the world that makes “faith” or religion criteria for nationality. I mean can you imagine if President Trump with his Republican allies in Congress pass an American nationality law that makes only White Evangelical Christians the only group of people who can qualify for full citizenship? Will this be accepted by his “Jewish daughter” or his Jewish son in law or with the many Jewish Zionist billionaires who are major contributors, or for that matter the majority of his cabine? I doubt it. Not that the US was ever fair or honest in its Middle East policies that appointing a Kushner should be a surprise. Since Lyndon Johnson who, under the toxic influence of a certain person became a true committed Zionist that as Commander in Chief dismissed the cries for a formal Naval Board of Inquiry into Israel’s deliberate assassination and attempted assassination of hundreds of members of our US Navy. As it happens, with only a few exceptions, the US has always appointed Jewish, Zionist special envoys to the Middle East. US special envoys always came from the Israeli-First crowd, from the Israeli Fifth Column in the US and all without exception take the blame for the death of hundreds of thousands of people in the Middle East and take full responsibility for the destruction and chaos in many countries in the Middle East. But for the US, its dishonesty and its deliberate belligerent attitude toward the people of the region, we would not have the conflicts we have and are having in Iraq, Syria Lebanon, Libya or even Iran. The people in the driving seats in all decisions that instigated wars and conflicts in the Middle East have been Zionists and Israeli First. Somehow no other groups or individuals are fit or qualified to be special envoys to the Middle East but a selected group of Israeli First. But for these people Israel and the Palestinians and the entire region could be at peace. 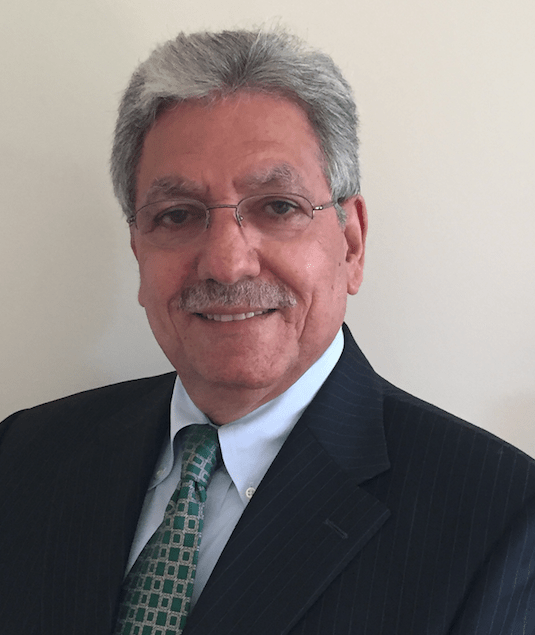 Sami Jamil Jadallah is a US citizen, an immigrant from Palestine with over 35 years of international legal and business experience in the US, Middle East, Europe and North Africa. He is a Veteran of the US Army and holds a BA degree in political science and economics, a master degree in public and environmental affairs and doctor of jurisprudence from Indiana University. Active in international and local affairs, Sami is a co-drafter of the Preamble for the Constitution of the One State for All of its People in Palestine and is active in veteran’s affairs in support of their re-integration in American society. He lectures and writes on a variety of topics including terrorism, social, economic and political issues related to the US and the Middle East. Sami believes that education is the only way to transform the Middle East into a peaceful productive region and calls on all foreign troops to get out of the Middle East, leaving the people to shape their own destiny. Sami is in semi-retirement but fully engaged in voluntary work and engaged in the peace movement in the Middle East.